Using named day delivery: Order this product within 10 hrs and 5 mins for guaranteed Tuesday delivery. 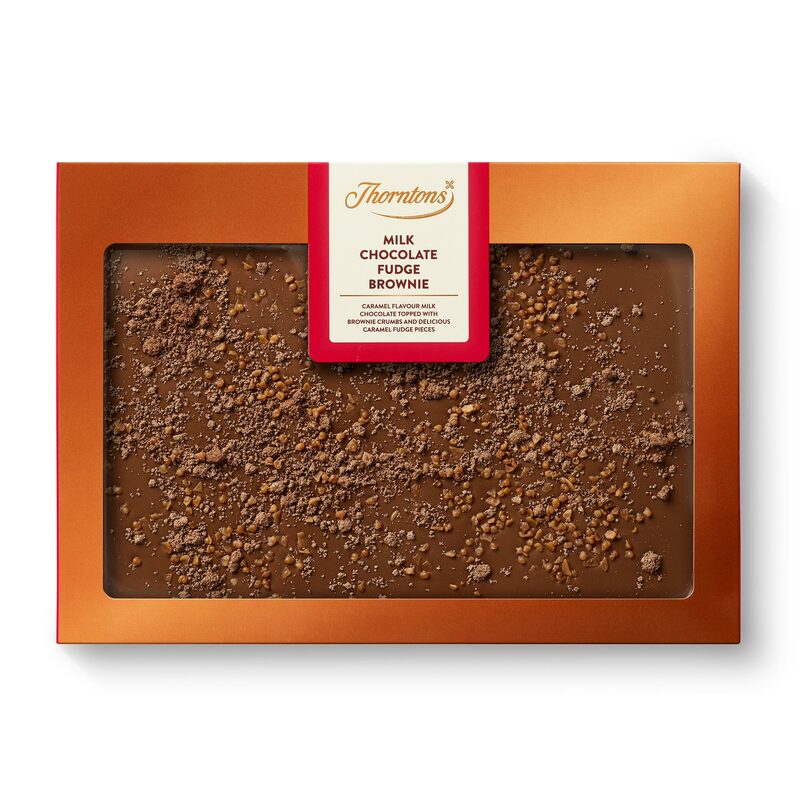 With a moreish blend of velvety fudge pieces and bites of crumbly brownie all wrapped up in smooth milk chocolate, this delicious Milk Chocolate Fudge Brownie block is the perfect pairing of sweet caramel flavours and comforting cocoa. Once you’ve tasted one chocolate block you’re sure to want to seek out the rest. 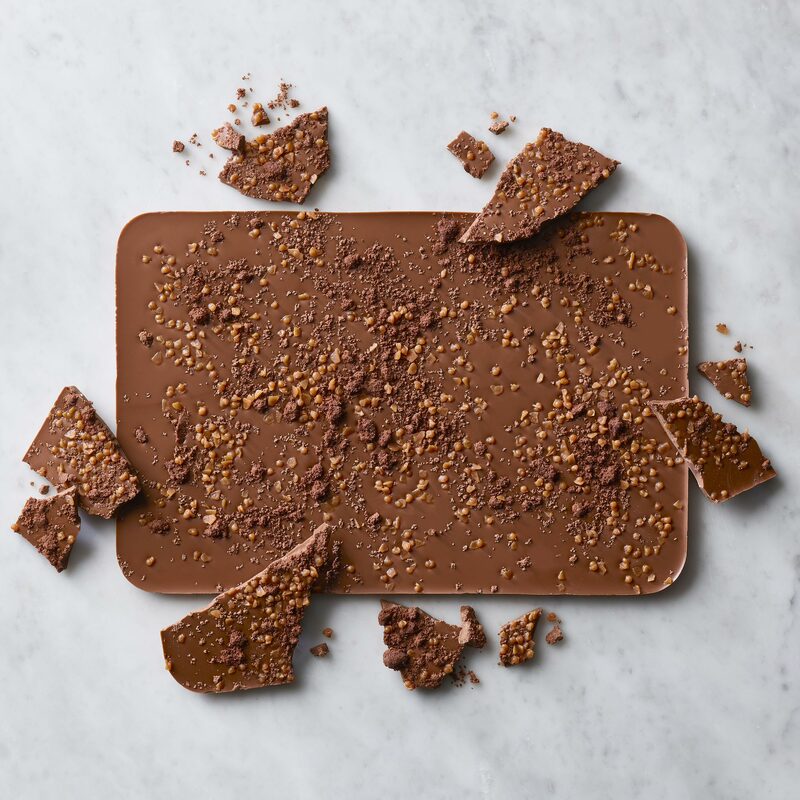 Why not try the darkly decadent Dark Chocolate with Orange or creamy Caramel White Chocolate with Salted Toffee? Sugar, dried whole MILK, cocoa butter, cocoa mass, brownie crumbs (4.5%) [sugar, margarine (palm oil, rapeseed oil, water, salt, emulsifier (E475), colours (curcumin, annatto), flavouring), white rice flour, potato starch, tapioca starch, cocoa powder, maize flour, buckWHEAT flour, flavouring, raising agents (E341, sodium bicarbonate), stabiliser (xanthan gum)], fudge pieces (3%) [glucose syrup, sweetened condensed skimmed MILK (skimmed MILK, sugar), vegetable fats (palm, shea), sugar, water, maize starch, humectant (glycerol), salt, emulsifier (E471), flavourings], MILK fat, flavouring, emulsifier (SOYA lecithin).